We gather this morning to celebrate the long and fruitful life of our Sister Eugenie Therese Courtright, who died on Wednesday, September 21, 2016, at the Maryknoll Sisters Center, New York. 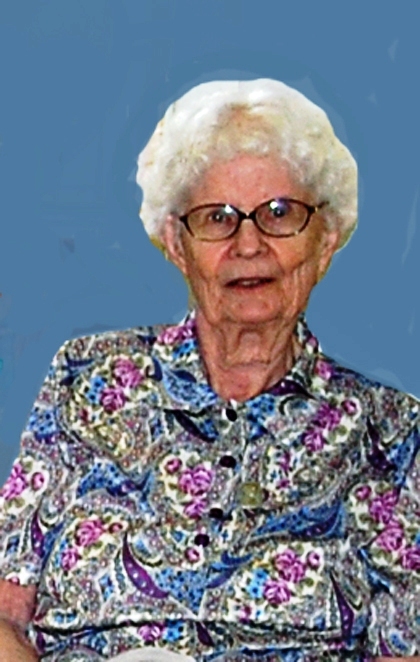 Sr. Eugenie Therese was 98 years old and had been a Maryknoll Sister for 77 years. Barbara Mary Courtright was born in Mt. Pleasant, Michigan, December 21, 1917, the daughter of Eugenie Senecal and Albert George Courtright. She had one brother, George Courtright, who pre-deceased her. After graduating from St. Benedict’s Academy in 1935, Barbara attended Maryhurst College for two years and on December 8, 1938 she entered the Maryknoll Sisters Congregation at the Maryknoll Sisters Center in New York from Sacred Heart Parish, Grand Rapids, Michigan. At Reception, she was given the religious name, Sister Eugenie Therese, a name she retained throughout her life. She made her First Vows on June 30, 1941 at the Maryknoll Sisters Center. In 1943, she was assigned to Hawaii where she made her Final Vows on June 30, 1944. Sister completed the work for her Bachelor of Education degree at Maryknoll Teachers College in 1943 and her Masters in Communications at the University of Hawaii in 1968. In Hawaii Sister taught in several schools staffed by the Maryknoll Sisters: Maryknoll Grade and High School in Honolulu, St. Ann School in Kaneohe, and St. Augustine School in Waikiki. Sister loved teaching and recognized her gift. “I am a good teacher,” she said, “and I get along well with children,” and she was right. All recognized the quality of her teaching and her relationship with the students. Sister was not only an accomplished teacher but also an accomplished pianist and organist. Always ready to help with any party and entertainment, Sister, with her musical skills and her gift of laughter, was the life of the party. She also used her musical gifts to teach the students to play the piano and to love music. She was the organist at the Maryknoll Convents where she lived and worked. In 2004, Sister felt it was time to leave Monrovia and return to the Maryknoll Sisters Center where she was warmly welcomed and where she took the Center for her prayer ministry. The Sisters in Monrovia had this to say when she left, “Sister Eugenie Therese, a kind, generous, wonderful and compassionate person, will surely be missed by all.” Typical of her generous spirit, throughout all her years of service, Sister donated her body to science. We are happy to have with us this morning, Father Jack Sullivan, our Maryknoll brother, to celebrate the Memorial Mass for our Sister Eugenie Therese.